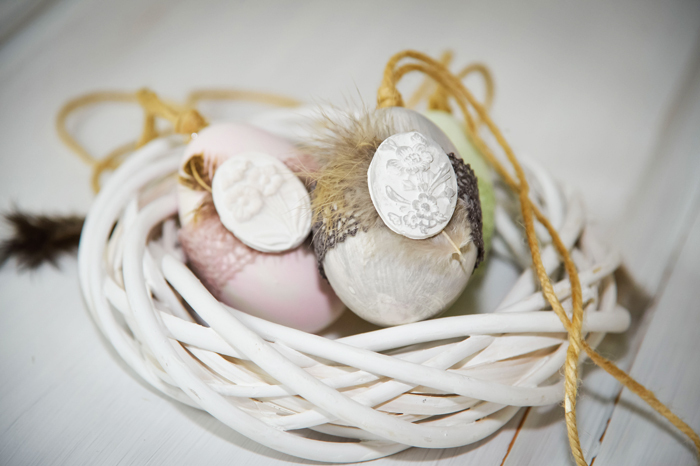 For a vintage-style Easter table, our silicone molds are an ideal base to transform not only eggs into a filigree Easter decoration, but also various other gifts. In the following video you can see how to use the silicone molds with casting compound. The molds can furthermore be used also with casting soap, wax, creative cement, Fimo/Cernit and other materials. The relief casting powder is mixed: to one part of water, 3 parts of casting powder. Stir well. To avoid air bubbles, you can brush out the mold before pouring in the mixture and then quickly stir in the rest of the mixture, gently shaking to soften the mass. The processing time is approx. 10 minutes and the hardening time approx. 30 – 40 minutes depending on the layer thickness.